Effectively re-engage customers anywhere, anytime with targeted notifications. 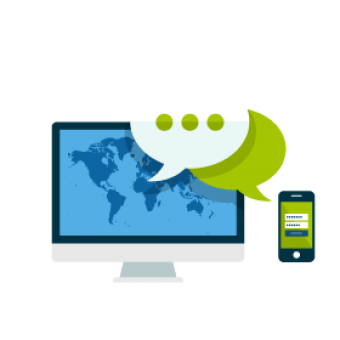 Send messages directly to your audience's phones or desktops which pop-up on their device. Our targeted remarketing system allows you to push notifications to your audience, instantly. We give you unprecedented control over when your audience will actually see your message. Tailor quick notifications to customers reminding them of your service and bring them back to your website. Open up new ways to communicate without hoping they open your email or paying for display advertisement. For a business with regular customers, this message could be a reminder to book in for another appointment sent 6 weeks after their last appointment, linking them back to a booking page. For eCommerce, the message could remind prospective customers about items left in their abandoned cart or notify about an item they viewed has just gone on sale. For 'as-a-service' providers, this could be a reminder that your support team is there to help with any issues or notifying about a new update that just went live. Push notifications are a new frontier for remarketing, nothing else can come close to the visibility and control a desktop push remarketing campaign offers. Send a tailored message to specific customers at the perfect time. Ensure your customers stay loyal by reminding them about your service right when they need it. We can help you reach your customer more often than ever before possible. They no longer need to be browsing Facebook, blogs or reading emails to see your messages. We send them straight to their phones or desktops. Whether you want to notify all website visitors about a new blog post or send a tailored message to people who visited a specific web page 48 days ago, we can do it. Send an simple notification to your audience about a new event or set up complex automated campaigns designed to re-engage your audience at opportune times.